CANZUK International will be speaking as part of a public discussion panel at the University of British Columbia in Vancouver, Canada regarding the benefits of free movement and trade for Canada, Australia, New Zealand and the United Kingdom. 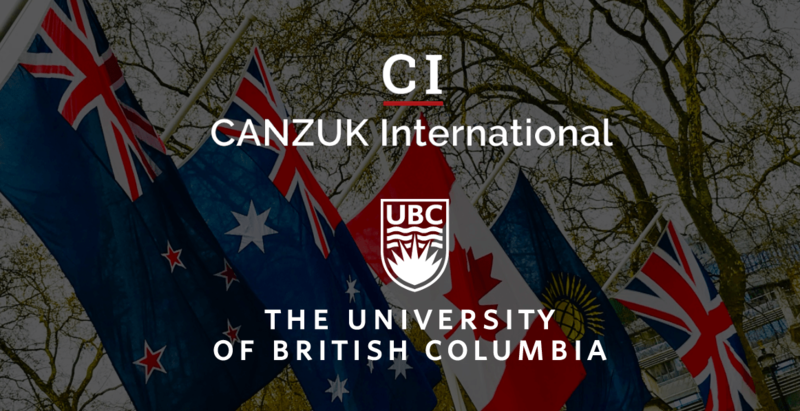 The event, hosted by the UBC Conservatives and the UBC International Relations Student Association, will welcome the Chief Executive of CANZUK International, James Skinner, for discussion and a Q&A session regarding the CANZUK initiative and the future of free movement and trade between the CANZUK countries. The panel will also welcome Shadow Foreign Affairs Minister, The Hon. Erin O’Toole MP, who serves as Member of Parliament for Durham and led the campaign for CANZUK International’s proposals to be adopted as official federal party policy ahead of the Canadian national election in 2019. Those in attendance will be able to ask questions about the CANZUK campaign, learn about the campaign’s plans for 2019 and network with like-minded supporters. This will be a free event, open to all members of the public. Tickets are available here and are reserveable on a first come, first served basis.